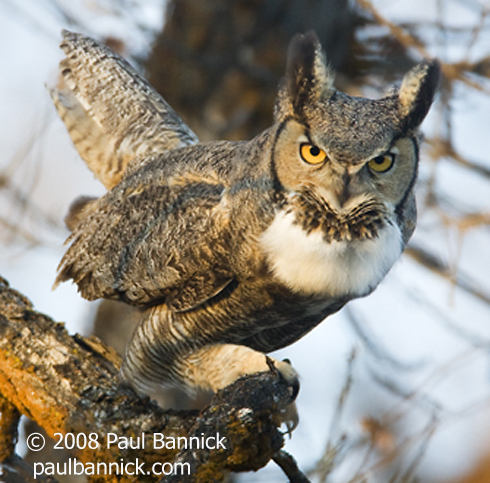 Photographer and naturalist Paul Bannick, whose photos appear frequently on this website, has spent a lot of time observing woodpeckers and owls, including this Great Horned Owl. Paul notes: "Woodpeckers are called 'keystone' species...a species which alters its habitat to the benefit of other species..." Visit Paul Bannick's photos at his website. 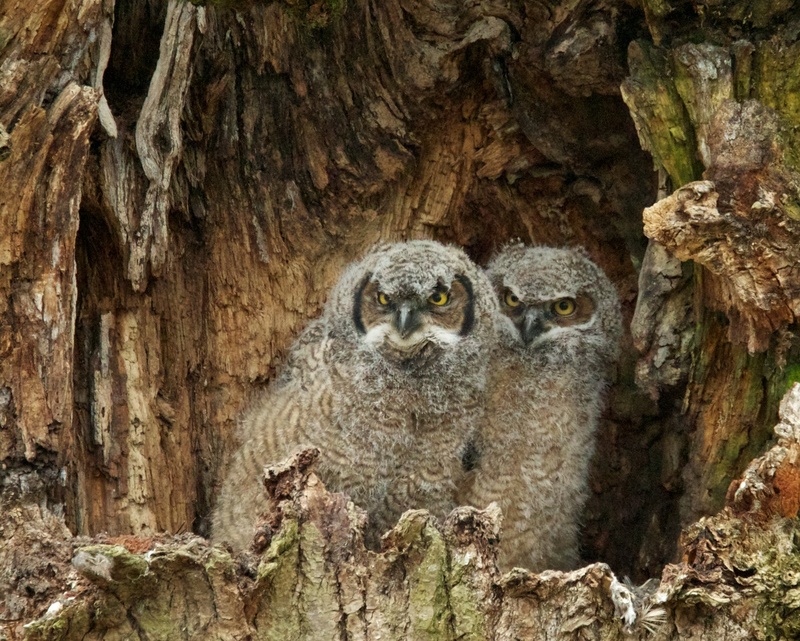 Photographer and naturalist Paul Bannick has spent a lot of time observing owls, including this Great Horned Owl, and woodpeckers, like the Northern Flicker we’re hearing. Let’s learn why. [13:32] One of the fascinating things is that all of us see owls and woodpeckers [on a daily basis] and when you see them, it’s telling you a lot about the habitat. And there is good habitat around many cities and towns and there’s a great opportunity for us to make that habitat better. The owl is a species at the apex of a food chain. [26:57] The woodpeckers [Call and drilling of Northern Flicker] are what is called a ‘keystone’ species…a species which alters its habitat to the benefit of other species. . [27:23] So in other words, it’s the woodpecker who drills the cavities used by other birds for nests, particularly the owls, and also, it drills wells that supply food for other birds and animals. It ends up making its own environment much richer. …. 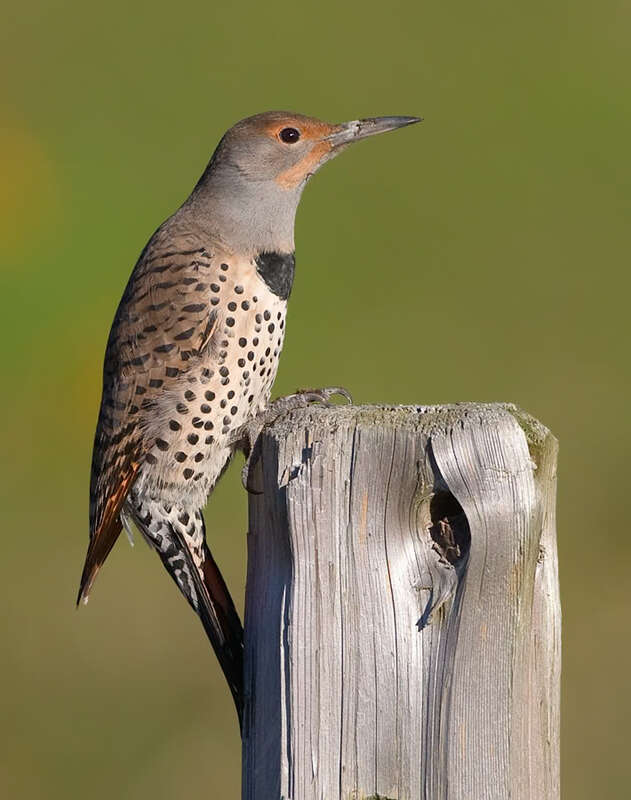 [18:46] And there’s no woodpecker in North America that creates more of those large cavities than the Northern Flicker. The 2012 BirdNote calendar features stunning photos by Paul Bannick, including one woodpecker and two owls. This calendar could make a great gift for the bird-lover in your life. Check it out on our website, birdnote.org. Call of the provided by The Macaulay Library at the Cornell Lab of Ornithology, Ithaca, New York. 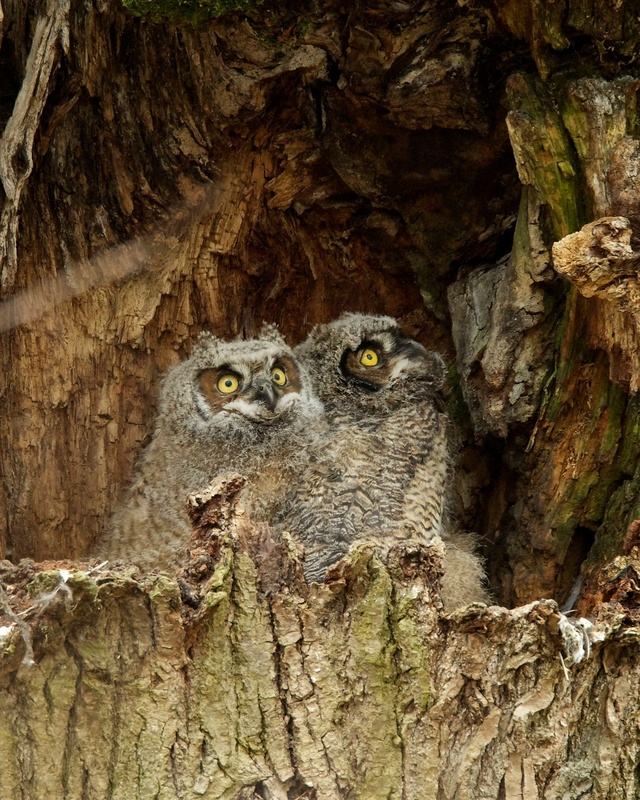 Great Horned Owl recorded by W.L. Hershberger. 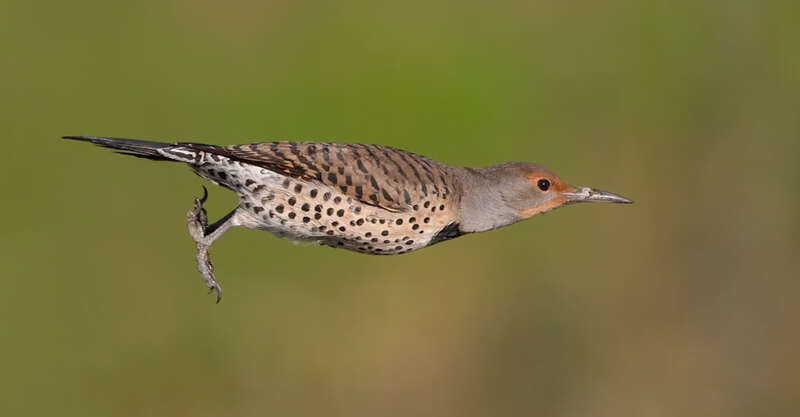 Northern Flicker recorded by R.C. Stein.